The clubs were hoping to reach an agreement for the player but with Lambert being ousted, the deal collapsed. NunoEspirito Santo was the replacement for Lambert at the Championship side. Lambert was only at the club for seven months as he resumed in November but the former Aston Villa and Norwich coach was sacked. Wolves finished 15th on the log after a short battle to avoid the danger zone. The former Porto and Valencia manager does not think so highly of Weimann. The player thanked his teammates and the fans through his social media account after it was confirmed that he would not play next term. Weimann mostly stayed on the bench in the first half of the season. He stated just a game in the Championship so the idea of reuniting with Lambert sounded nice. They were together at Villa but the Scot’s dismissal ended his short stay at the club. Wolves fans praised the move on Twitter. 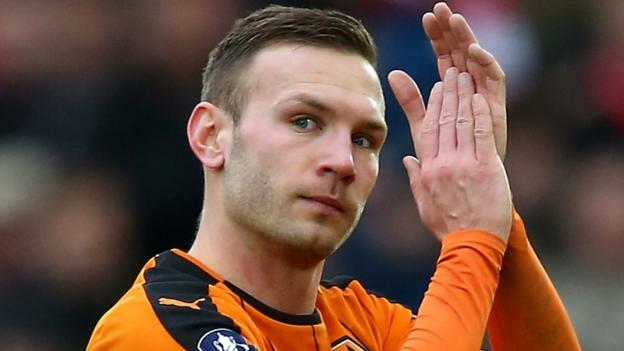 They supported the move of the management not to lengthen Weimann’s stay at the club. They claimed for a team aiming for promotion, he was not suitable. The next moves for the player remains unknown as the prospect at Derby is not bright as well.